In 2014, according to a report by the EPA, every day, we get rid of 416,000 mobile devices and 142,000 computers either by recycling or disposing of them in landfills or incinerators. The United States alone generated 11.7 million tons of E-Waste in 2014. Today, only 15-20 percent of electronic devices and equipment are recycled worldwide. Most electronic waste is sent to landfills or becomes incinerated, having a negative impact on the environment by releasing materials such as lead, mercury, or cadmium into the soil, groundwater, and atmosphere. 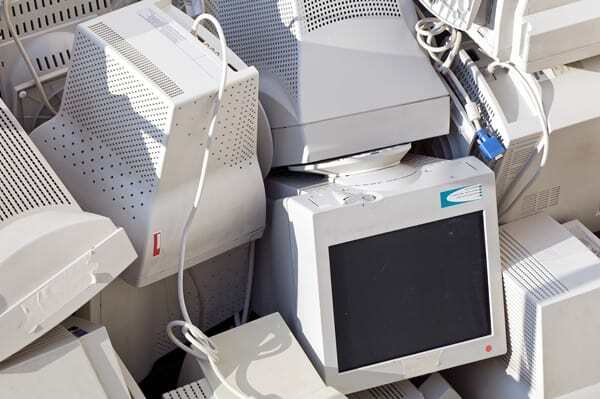 AccuShred has an answer to the problem of what to do with your obsolete electronic equipment. AccuShred can provide your company with collection containers for you to store your unwanted electronic components. We can pick up your electronics on a one-time or a regular basis. All electronic material is de-manufactured, or broken down, into recyclable commodities and sent to R2 Certified domestic end-markets. AccuShred never sends any computer equipment overseas. After your components have been safely recycled, AccuShred can provide your company with a Certificate of Recycling upon request. Please contact one of our Security Consultants for more information about computer recycling.